News#AskTheHIVDoc – All About PrEP! Your favorite HIV docs are back! 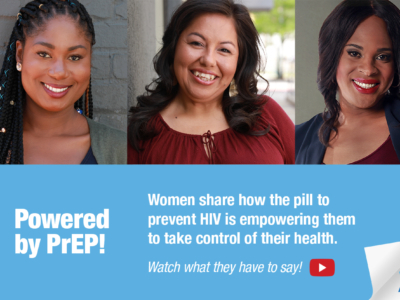 This latest installment of the popular Greater Than AIDS YouTube series #AskTheHIVDoc is “All about PrEP!” Because HIV should never stand in the way of LOVE! While the tone is playful, the answers are direct, clear and packed with important information. #AskTheHIVDoc: All about PrEP includes 14 questions, each less than two minutes long. Questions for the series were solicited by Greater Than AIDS through social media. “One of the things about PrEP that has become very important is that it has become a gateway for getting access to health care. If you are on PrEP and you go to the doctor every three months, don’t look at it as a burden. Look at it as empowering yourself and an opportunity to talk to your provider,” says Dr. David in one of the videos. According to a 2014 national survey of gay men from the Kaiser Family Foundation, only about one quarter of gay and bisexual men know about PrEP. Part of the problem is that many are not talking about HIV with anyone, including their health care providers. In #AskTheHIVDoc, Dr. Demetre and Dr. David offer a jumping off point for starting the conversation about PrEP and HIV with health care providers. “When it comes to ending HIV, PrEP is essential – but more people need to know about. #AskTheHIVDoc puts important information out there in a way that is fun, friendly and informative,” says Tina Hoff, Senior Vice President and Director of Health Communication and Media Partnerships, Kaiser Family Foundation – a co-founding partner in Greater Than AIDS. #AskTheHIVDoc: All About PrEP was funded in part by a grant from Gilead Sciences Inc., the manufacturer of Truvada. Gilead had no input on the content of these messages. The series was filmed at HERE Media’s studio in New York City. HERE Media, Grindr4Equality, and Rivendell Media, are amplifying the message of #AskTheHIVDoc through their platforms. Keep the questions coming! 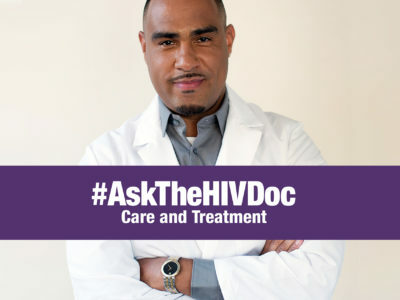 Post your questions with #AskTheHIVDoc and @GreaterThanAIDS. Help spread the word! Download and share materials – including banner ads, graphics & videos – for the campaign here. Let’s Talk About PrEP & Women!